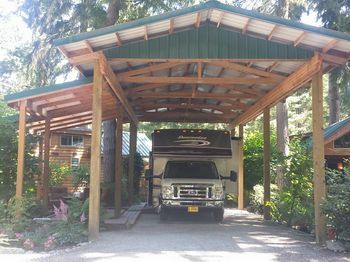 This RV rental lot is located at Lake Limerick in Shelton Washington located 40 minutes from Olympia, 4 miles from downtown Shelton, Washington. The lot is available for rent April 1, 2019 - November 15, 2019. Lake Limerick has a 9 hole public golf course and pro shop. The community has a club house, tennis courts, swings, horse shoes and lake front parks available to use for a $50 membership fee. 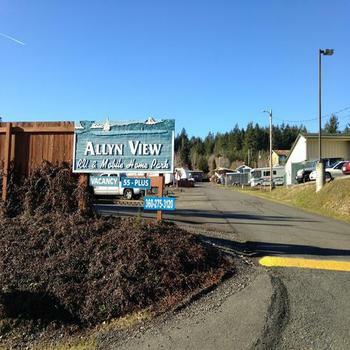 This RV lot is located within walking distance to the pro shop, club house, tennis courts and main club house swimming area. 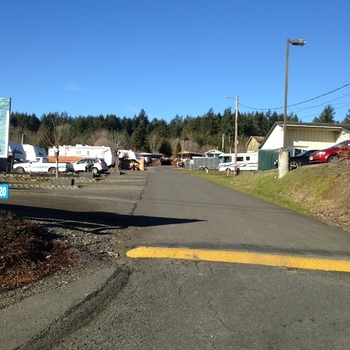 The lot is large and can easily accommodate a 40” motor home and truck. The lot has a fire pit with log seats, tether ball, and 2 swings. The monthly rental fee is $800. 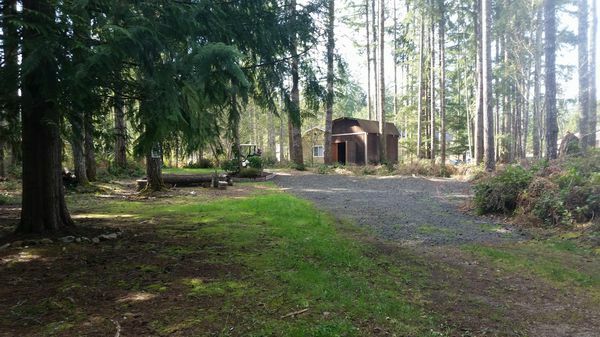 The monthly rental fee includes full hook-ups, water, and septic. Renter is responsible for electricity, garbage & internet.